The University of Washington is a national leader in campus bicycle facilities. Join the thousands of Huskies cycling to school and work each day. Where to park your bike: Find the bike rack or secure room nearest you, and learn about our secure bike house and locker options. Routes & resources: Maps, classes, riding clubs, events and where to get your bike fixed on campus. Rules & safety: Review the rules of the road and learn about special UW restrictions. Register your bike: The UW has partnered with Bike Index, the nation’s largest and most effective bike registration and recovery service. Registration is free and only takes a few minutes. It’s important to find a bike that you feel comfortable on. Not ready to buy yet? Try renting at first, or using a bike share service. If you are looking to purchase a bike, stop by a local bike shop and tell them what you’ll be using the bike for. They should be able to tell you your frame size and suggest different styles and sizes to try. Bring a bike-minded friend along with you for support, or reach out to Transportation Services for some purchasing recommendations. Google Maps provides bicycle directions! Enter your start and end points and let Google do the rest. Please note that some directions are still in beta. Strava allows you to build a route based on multiple factors, such as popularity of use or elevation change. You can then use the app to track your cycling trips and show your friends all the awesome miles you ride. Once you decide on a route, test it out! Try your new route on a weekend when there’s less traffic. Ask a friend or co-worker to ride with you, or get help from a BikeBuddy. Does your route involve a bus? Get practice putting your bike on the bus bike rack with our full-sized practice rack located in front of the Transportation Services office at 1320 NE Campus Parkway. Metro also has some great instructions on how to use their racks. All buses and most vanpools have easy-to-load bike racks. Try pedaling one way, or part of the way, and ride the bus or vanpool for the rest of your journey. Bus and vanpool bike racks typically hold two or three bicycles. You can also take your bike on Sounder trains and Link light rail. The UW campus is home to almost 10,000 bicycle parking spaces, including racks, lockers, rooms and houses. Check out our bike parking page for more information. Helmet: King County law requires you to wear a helmet when biking. Replace your helmet every three to five years or if it absorbs a major impact. Lights: The law requires you to have a white front light and red rear reflector when riding at night. We recommend a solid white front light and at least one red rear light to go with your rear reflector. Make sure to angle your front light so it doesn’t blind oncoming traffic. U-Lock: A stolen bike will ruin your day, so protect your bike by locking it up with a high-quality U-Lock. Your U-Lock should be big enough to fit around your bike frame, a bike rack and at least one wheel. Learn more about proper locking techniques here. Reflective clothing: While not required by law, reflective clothing and accessories can help you stay safe and seen while riding at night. Stop by your local bike shop and check out their clothing selection, or wear a construction vest over your clothing as an affordable alternative. Fenders: Keep your bike, body and the folks riding behind you dry by investing in full front and rear fenders. Bell: Politely alert pedestrians and slower-moving bicyclists that you’re about to overtake them by ringing your bell. Just because it’s wet outside, doesn’t mean you have to be. Keep yourself warm and dry by investing in rain gear for fall and winter riding. Rain jackets and pants should be waterproof, light and breathable. Look for biking-specific features such as extra flaps or built-in reflectors. Look for gloves to keep your fingers warm and waterproof booties that you can slip over your shoes. Caps designed for biking will keep your head and ears warm under your helmet. Losing your bike stinks. Register your bike with Bike Index. If your bike is later stolen, this will make it easier to get it back. Bike Buddies are UW students, faculty and staff who have bike commuting figured out and want to help others who live near them bike commute to campus. They share their route tips and bike alongside new riders to help them get started. For new riders who want to start bike commuting to their UW destination. We will match you with other people who live near you and have compatible schedules. For experienced bike commuters. When someone who lives near you needs help, we will connect them with you. Need help with repairs, classes or rentals? Check out our Resources page. 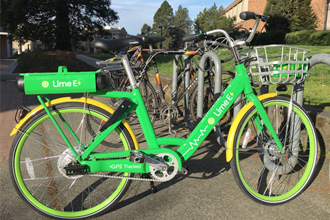 The University of Washington has partnered with Lime to provide rentable dockless bikes for use on campus. Lime currently offers electric-assist bicycles for rent. Bikes are also available throughout Seattle. Students who sign up with their @uw.edu e-mail address receive 50% off all rides. Download the Lime app on your Apple or Android device. Locate a bike available for rent using the app, or find one parked around campus. Scan the QR code on the back of the bike in the app to unlock. Once your ride is done, park your bike at a bike rack on campus. Push closed the lock on the back wheel to end your ride. Wear a helmet. It’s the law in King County. If you need help obtaining a helmet, check out ASUW bike shop for some affordable options, or contact Transportation Services. Park at a bike rack. Although bike share bikes can be parked in the right of way (the area between the sidewalk and the curb) in other parts of Seattle, bikes must be parked at a bike rack on campus. Make sure bikes are not blocking any sidewalk, doorway, ramp or any place where it could block pedestrian or vehicle traffic. Be especially mindful of keeping bikes away from ADA ramps, entrances, and parking spaces. Obey all traffic laws and campus policies. Always yield to pedestrians, and practice safe riding techniques when cruising around campus. Learn more on our Rules & safety page. Do a safety check before you ride. Make sure the wheels aren’t flat and the brakes are in working order (give them a squeeze) before unlocking the bike. Report any damage directly to Lime in the app.  If a bike is parked in a place where it shouldn’t be, contact Lime directly by reporting the bike as mis-parked in the app. You can also contact Transportation Services by emailing bshare@uw.edu. Make sure to include the location of the bike(s) as well as a photo.